They’re trim, taut and terrific, and the exciting future of the Kingsley Amateur Football Club. 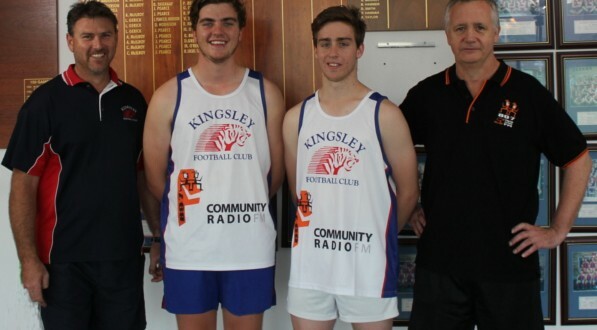 Colts coach Mike Cockburn and community radio 89.7fm’s John Logan recently welcomed last year’s premiership-winning 17s from the juniors competition to the KAFC. To mark the arrival of the colts recruits, training singlets, with KAFC and 89.7fm logos, were presented to the boys. Mike and John, who’s also a KAFC committee member, are keen to bring out the best in young footballers on and off the field.